Can cannabis give you energy? Most people conceptualize cannabis as a substance that elicits a sense of relaxation in its users. Thoughts of “stoners” usually conjure up images of couch-locked nights filled with cartoons and pizza. However, while classically grouped as a “depressant” amongst psychoactive substances, cannabis is actually a stimulant and a depressant. Thus, while cannabis is certainly capable of helping you get through a whole season of Adventure Time in a single night, it would be a serious undervalue to limit it to that; cannabis can help you take your next adventure to a higher level. Cannabis can certainly give you energy. We’ve included the most energetic strains of cannabis; giving them a try will certainly change your conception of cannabis if you think “weed makes you lazy”. We’ve included the most energetic strains of cannabis; giving them a try will certainly change your conception of cannabis if you think “weed makes you lazy”. With over 100 cannabinoids and terpenes present in cannabis, varying combinations can create what are known as “strains”. Different strains of cannabis can have drastically different effects on your subjective experience. Some will make you fall asleep before you’ve reached the end of the joint. Others will have you creating your next masterpiece. 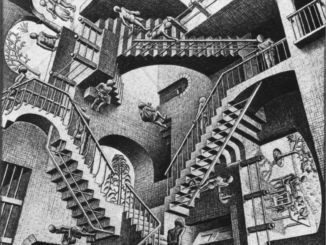 Still others will leave you in such a giigle fit, you’ll have trouble doing much of anything other than keeping the laugh-train chugging along. While most cannabis amateurs will simply break strains up by saying that Sativas gives you energy, Indicas put you to sleep, and Hybrids meet you somewhere in the middle, it’s actually much more complicated than that. While dividing strains into these three categories is a decent first pass, wouldn’t it be better to refine the experience even further? We think so. Choosing a strain from a dispensary’s shelf that’s right for your plans is hard, especially if it’s your first time. That’s why we created the WoahStork Strain Genie — a sophisticated algorithm that hashas collapsed the 1000 most popular strains of cannabis into 6 activity groups based on their underlying cannabinoid and terpene makeup. This week we’ve put a focus on our Energize activity group — bringing you the most energetic strains of cannabis in the world! Surfs up! These strains are sure to keep you on your board and ready for more! Whether you’re looking to give your day’s errands a little oomph or planning a high-energy out door activity, these strains are your best bet! The Strain Genie has handpicked these strains for anything that is best performed with a bit of extra enthusiasm and energy. Headed to a concert? Pick a strain from this activity group. Made it half way through your hike and need a pick-me-up for the return trip? Look no further than the Energize activity group. Dominated by strong Sativas, these strains are curated to ensure you keep living life to the highest – the WoahStork motto. If you’ve struggled to find strains appropriate for the mornings, you’ve come to the right place. These cannabis varieties are sure to keep you engaged with cerebral bursts of energy that get you up, at it, and ready for the next task. Don’t expect to get too much rest after ingesting any of these strains; the energy is truly palpable. While we suggest you get out of the house and explore mother nature’s playground, these strains could also be great for staying in and finally cleaning up all of the clutter around the house. If any of the following buzz words catch your eye, then the Energize activity group is your new favorite home! If every time you’ve used cannabis has led to an unexpected nap or a generally lackadaisical attitude, then these strains could alter your entire conception of cannabis! Instead of just dropping in to a local dispensary and picking a random strain from their menu, use WoahStork to find the right strain of cannabis for your current recreational desires. Then, find dispensaries near you that carry it! Search by strain — it’s the WoahStork way. 1) Green Crack — There’s a reason this strain is named after the addictive amphetamine. Green Crack’s extreme potency will keep you coming back for more. Recognized by its medium-green hue punctuated with orange and bluish hairs, its aromatic tangy, fruity smell is realized by its sweet taste. With ways of providing you with sharp energy and focus, Green Crack induces an invigorating mental buzz that keeps you going throughout the day. Green Crack is easily one of the most energetic strains of cannabis. 2) Durban Poison — a true rarity checking in as a 100% Sativa! Durban Poison is great as a daytime smoke that is both uplifting and energetic. The distinctive sativa head buzz has a very strong psychoactive kick that will have your mind and your feet moving a million miles an hour all day. If you like Thai aroma, you’ll fully enjoy the Asian odor coming from this marijuana beauty during its whole veg period. The taste is described as either sweet licorice or sweet aniseed and the effect is fast hitting, up high, and all in the head. 3) Super Silver Haze — A champion of champions since winning its hat-trick at the 1997,1998, 1999 High Times Cannabis Cups, Super Silver Haze is comprised of some of the most commercial strains known to the uncivilized world: Skunk, Northern Lights, and Haze. Super Silver Haze is an excellent breed for those who wish to possess the ultimate stash! Super Silver Haze has been known to leave one gasping for reality. Her smooth and calming smoke has the classic sweet hazey taste and smell that so many have adored worldwide for decades. Although this is a sativa dominant hybrid, Super Silver Haze’s solid Afghani based genetics actually have a rather noticeable body high that’s pair with the typical uplifting and psychoactive head buzz that the haze varieties are so famous for. 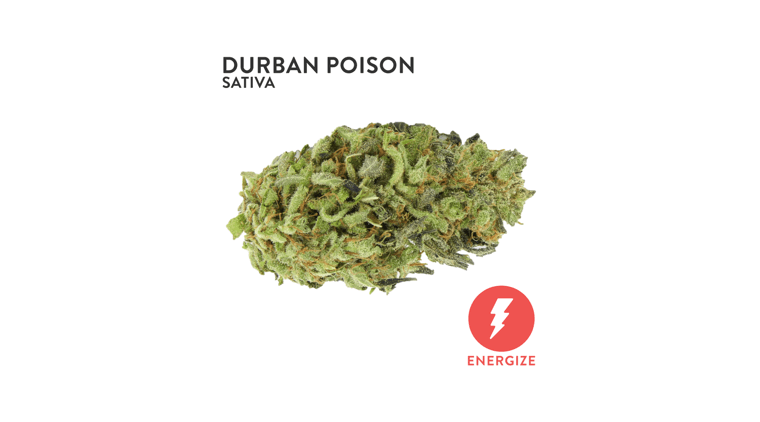 If you want the full list, you’ll have to check out the Energize activity group, where you can find the most energetic strains of cannabis in your area and place an online order for pickup or delivery! Strains from the Energize activity group are the ones most likely to help you align with the WoahStork motto: Live Life to the Highest™.So, find the most energetic strains of cannabis closest to you and place an order online from a dispensary in your area. WoahStork is a marijuana app that allows you to order cannabis online from nearby dispensaries. Simply upload your government issued ID and doctor’s recommendation (if you’re looking for medical marijuana), and you’ll be able to place online orders for pickup or delivery within minutes! We also have a vast database of strains for you to review, compare prices, and order online! If you don’t know where to start, our Strain Genie will give you a personalized strain recommendation for any medical ailment or recreational occasion! The more you order and review, the more cannabis rewards you get – redeemable for steep discounts on cannabis from nearby dispensaries. WoahStork shows you all the strains that are best for marijuana and cancer, marijuana and depression, marijuana and anxiety, marijuana and diabetes, and more! Is there a marijuana app that lets you buy weed online? You bet! WoahStork is one of the best weed websites to buy from. With WoahStork, it’s basically like every marijuana dispensary in your area has an online cannabis store where you can buy weed online legally.